I have been detained for 118 days now. 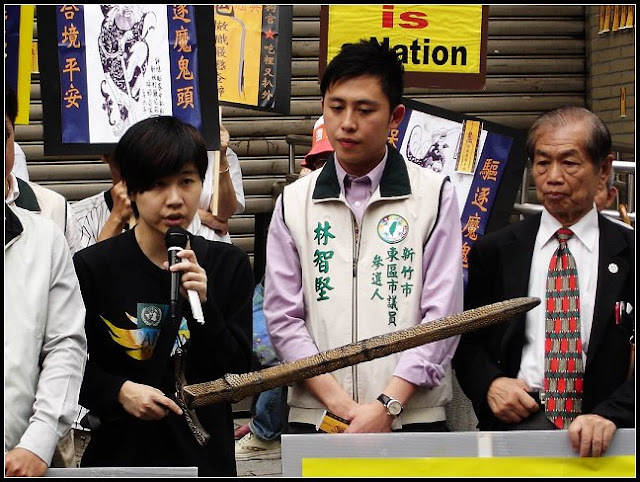 My personal freedom has been taken away by Ma Ying-jeou’s administration. The KMT government, attempting to cage my freedom of expression, has used detention as a mean to threaten and punish me. Yet I remain unafraid. I must stand tall and appeal to the world. 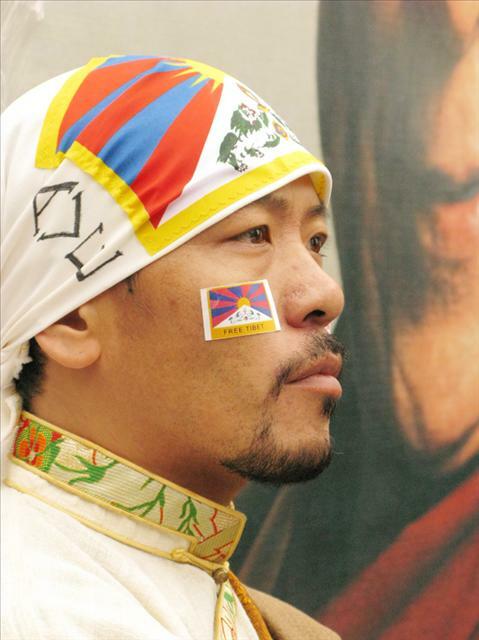 I must protest and tell my story for the sake of freedom, democracy, human rights and justice in Taiwan. I believe that the verdict in my case was prepared long in advance and that my sentence has already been determined since such decisions are not really up to the prosecutors and judges who are merely following orders. The so-called “judicial procedure” is merely a theatrical play, nothing more than a farce. 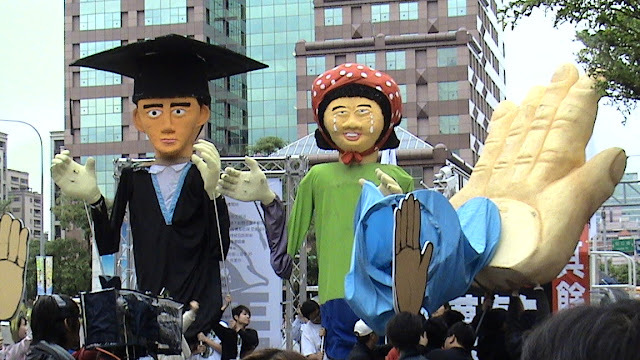 Under the Ma administration, we have seen a regression of Taiwan’s democracy and rule of law. 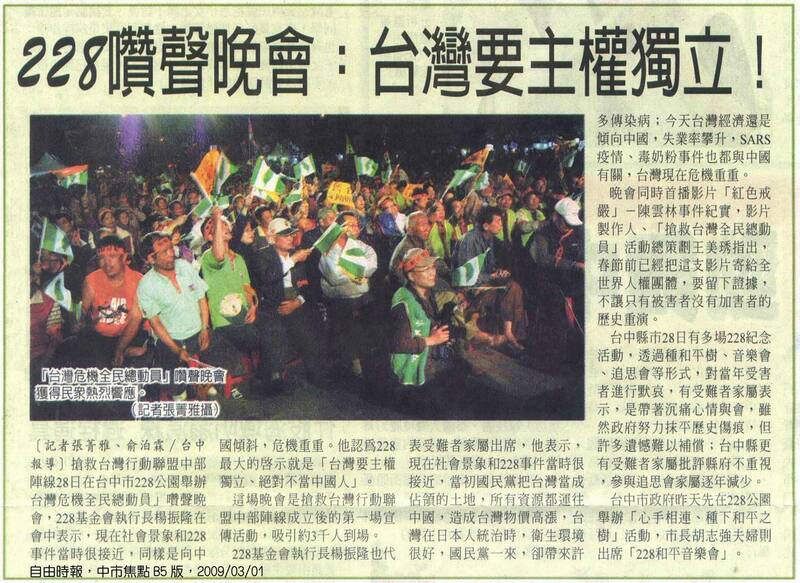 It seems that we are now back in the dark age before the 1979 Kaohsiung Incident. My daughter once said that since she was little, my family and I have been subject to persecution of Taiwan’s judiciary. Twenty years have passed, yet little progress has been made. In the past eight years, I have worked very hard to promote judicial reform. 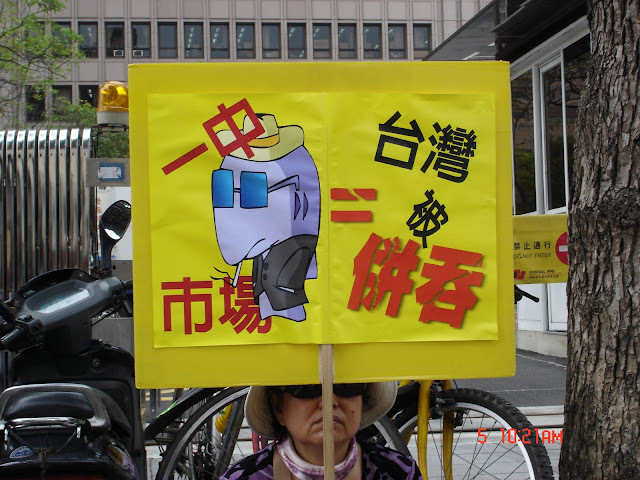 However, today, I must admit the harsh reality that judicial fairness is almost non-existent in Taiwan. 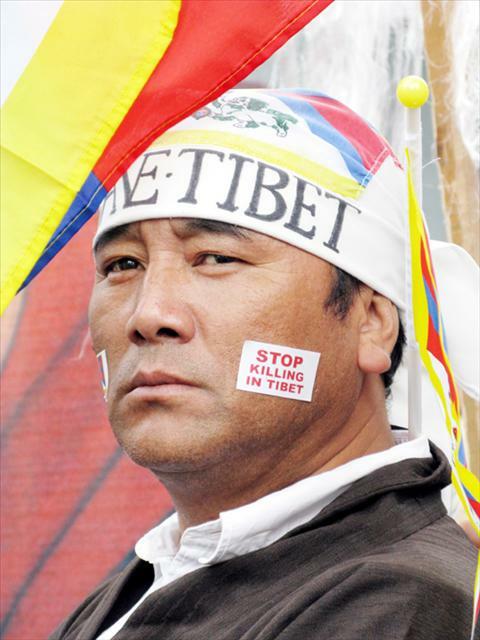 After taking office last May 20, Ma’s government has rapidly tilted to China’s side. In order to gain favors and protection from the Beijing authorities, the KMT government has launched an all-out purge and cleansing against former DPP administration. For example, on the very same day I stepped down from the presidency, I was banned from overseas travel. Secondly, soon afterwards, three Democratic Progressive Party politicians, Chiayi County Magistrate Chen Ming-wen, Yunlin County Magistrate Su Chih-fen and former National Security Council secretary-general Chiou I-jen were detained incommunicado for suspicion of corruption. Thirdly, in November last year, when Chinese envoy Chen Yunlin visited Taiwan, Ma’s administration employed martial-law-like methods to suppress protests from the people. The best example is the decision to put me in handcuffs, hold me in continuous incommunicado detention and isolate me from the world. 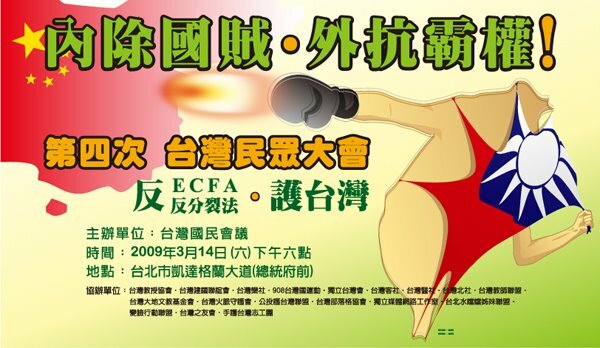 Nonetheless, all the apparent “due judicial process” could not hide the core of the matter, that is, the disguised use of state violence to purge and wipe out KMT’s enemies and the use of the banner of “anti-corruption” to disgrace and slander the DPP administration’s insistence on the values of “Taiwan First” and “Taiwan-centric consciousness”. I may be the first one to be targeted, but I will certainly not be the last. The judiciary must remain transparent, impartial and just. Due process is the foundation of the rule of law. However, we have seen repeated violations against such principle during the investigation and deliberation of my cases. First, Justice Minister Wang Ching-feng openly discussed my cases during a television interview while my cases were still under investigation. Second, during a legislative session, Minister Wang openly exerted pressure on Prosecutor General Chen Tsong-ming, thus forcing the Special Prosecutors Office’s Special Investigation Division (SID) chief and spokesman Chen Yun-nan to call a press conference during which all eight SID prosecutors vowed to quit their jobs should they fail to conclude the case by the end of the year (2008). Third, even worse, after Justice Minister Wang inappropriately went to the KMT headquarters to report on the progress of my cases to KMT Secretary General and Legislator Wu Tun-yi, SID prosecutors and the Ministry of Justice’s Investigation Bureau (MJIB) launched large-scale search actions and arrested some of my former colleagues and staff members one after the other. Detention of these people made it easier for SID to extort confessions. Fourth, in addition, on October 29 of last year, President Ma Ying-jeou gave instructions regarding my detention during an internal meeting in the Office of the President. 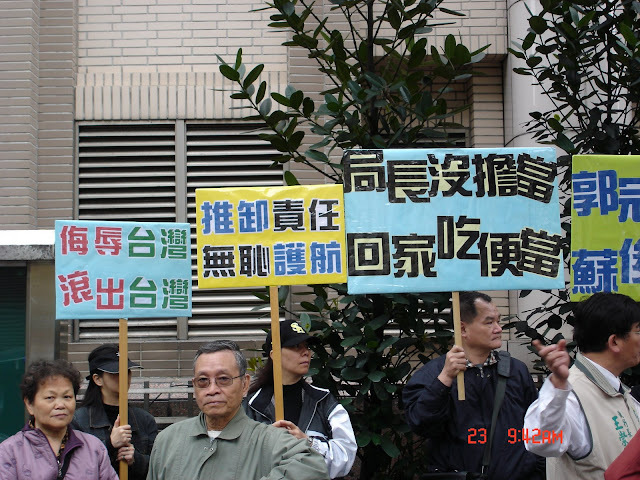 On November 12, 2008, less than a week after Chinese envoy Chen Yunlin left Taiwan, I was handcuffed and was placed under incommunicado detention, after nearly 24 hours of interrogation by SID prosecutors and deliberations by the Taipei District Court. A month later, on December 12, 2008, I was indicted. The Taipei District Court used a system of random selection by lots that choose Judge Chou Chan-chuen to preside over my cases. Judge Chou then ruled that I should be released without bail on December 13 and again on December 18 despite appeals by SID prosecutors. Afterward, the Taipei District Court decided arbitrarily to transfer my cases to Judge Tsai Shou-hsun. 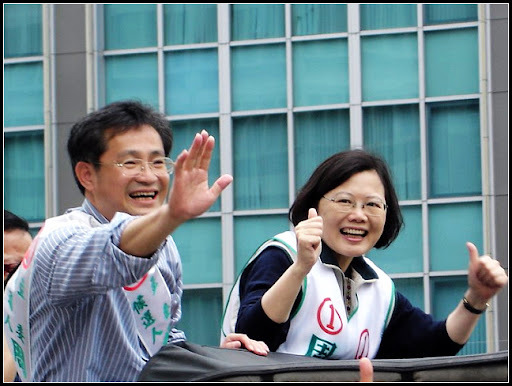 (Tsai was in charge of the alleged state affairs funds embezzlement against former first lady Wu Shu-jen in late 2006.) Such a midstream change of judges is an open violation of the principle of automatic distribution of cases which is crucial to prevent external interference in the judiciary through the “hand-picking” of cases to judges that can easily lead to irregularities. On March 3, 2009, twenty days before my detention period ends, Judge Tsai Shou-hsun ruled that my period of detention should be extended for another two months. Such a retributive and punitive ruling is not only unprecedented, but also a clear indication that the presiding judges have already formulated their opinion before the trial has even taken place. This decision has also deprived me of the opportunity to receive a fair trial. It is terrifying to see such happenings in our judicial system. Regarding the presidential state affairs funds case, it is still under debate whether state affairs funds are similar in nature to the special funds of mayors and other executive chiefs of central and local governmental agencies. According to Interpretation 627 of the Constitutional Court, the President is entitled to the privilege of state secrecy, namely, the President can reserve and keep confidential information involving national security and national interests. The indictment filed by the SID stated that during my presidency, my state affairs funds expenditure exceeded what was given to me. Hence, there was no “unlawful gain.” However, the SID distorted the truth by insisting that the actual expenses did not match with what had been listed by my bookkeeper and therefore charged me with the criminal offense of embezzlement. In terms of the Longtan acquisition case, witnesses and the other defendants have all stated that the final decision on the land acquisition was made based on the consensus reached at a meeting in the Office of the President. It was not a decision made by the President alone. All of them also stated that the President was not aware of the money issue involved. Their testimony proved that I had no intention to receive money and did not commit the crime of accepting a bribe. However, the SID prosecutors have selectively chose and arranged testimonies to conclude that I was involved in corruption. These are groundless accusations and fabrications. The money laundering case is a matter of trumping up a charge. 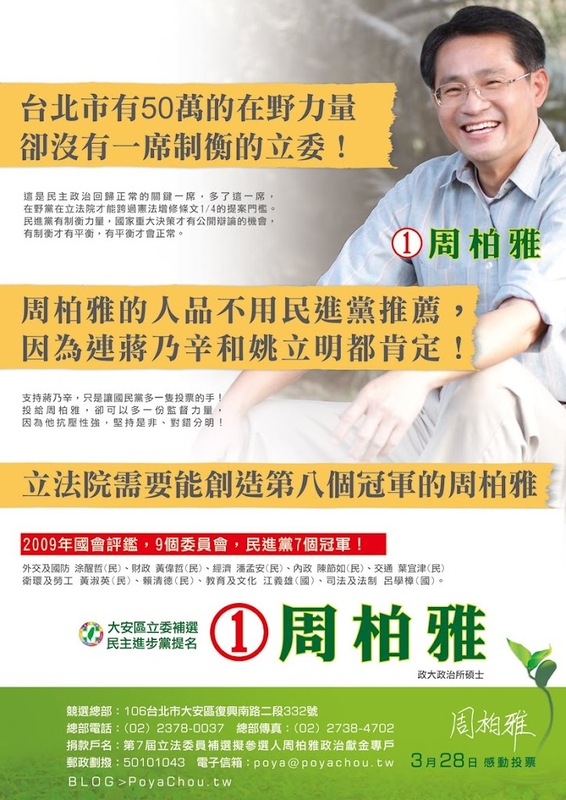 In Taiwan’s election culture, political contributions has long been a sensitive issue amongst all politicians and a Pandora box that could not be opened because nearly all election candidates have failed to honestly declare the campaign contributions they have received or spent. This situation has long been a grave innate flaw in our political system that must be corrected. However, the existence of such a flaw should not be used as a means for political attacks and the purging of political opponents. How could it be that, on the one hand, political contributions to some candidates are considered to be simply political contributions, while contributions to other candidates (such as myself) are seen as bribery or funds obtained through blackmail?! I am not the type of person who covets money. 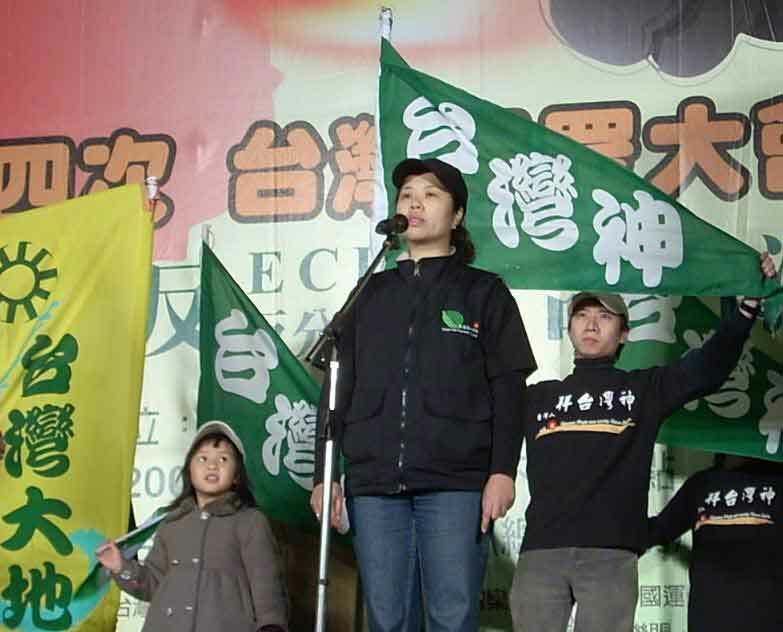 Unlike the Chinese Nationalist Party (KMT), the Democratic Progressive Party (DPP) does not own any assets or own or operate enterprises and therefore has to fend for itself through fund-raising. During my eight years as president, I have raised funds for my party and fellow members who needed financial support in six important elections. The amount of money I have donated to the DPP, its election candidates and even political allies exceeded NT$ 1.3 billion. I have donated almost all the funds that I could. I acknowledge that some of the election funds left over from my campaigns were transferred overseas by my wife without my knowledge. However, this fact does not mean that these funds were acquired illegally or that the transfer of such funds overseas constituted criminal offense of money laundering. 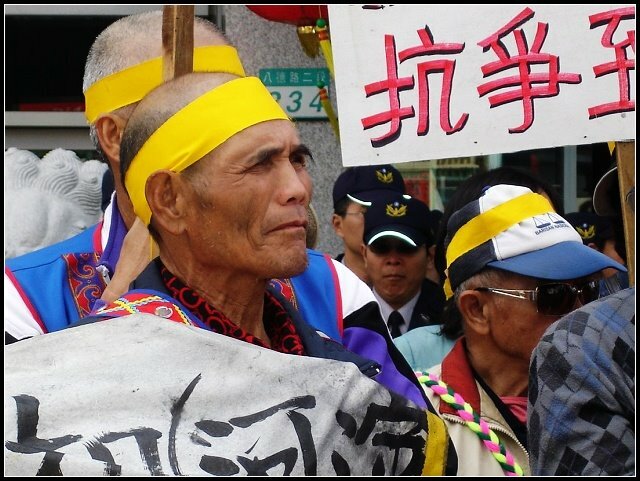 The issue of handling political contribution has been a common historical burden for all politicians in Taiwan. It will not be resolved simply by placing all the blame on me. I am willing to open up to public scrutiny all the political contribution I have received and I also demand the same standard be applied to all politicians, irrespective of political affiliation. 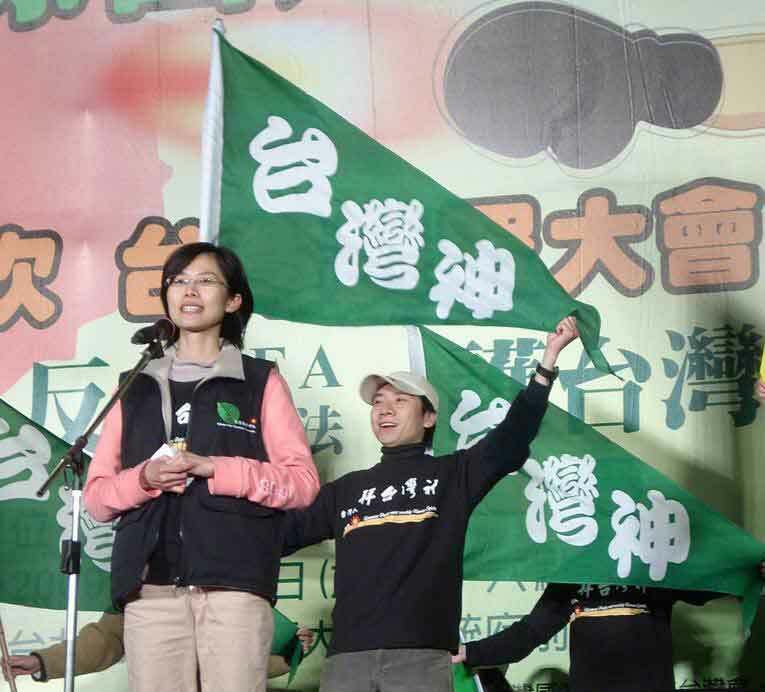 Above all, the KMT’s party assets should be subject to the same scrutiny. Only requiring the DPP or myself to meet such standard would constitute nothing more than a political attack and persecution. It has been merely 10 months since I left office last year, yet it seems that the world has turned upside down. The change of presidency has brought about the regression of freedoms (of speech and press) and social justice that once we were so proud of. For example, when my defense lawyer expressed different opinions and helped convey my messages, the Justice Ministry took actions to intimidate him by asking the Taipei District Court and Taipei Bar Association to investigate whether he had violated the lawyer code of ethics. Second, when Judge Chou ruled that I should be released without bail, unconstitutional arrangements were made immediately to change judges. Third, during the process of interrogation and questioning, SID prosecutors threatened and coerced witnesses and defendants into making confessions. To cover up these actions, they even demanded revision of regulations to restrict the public disclosure of the interrogation sessions. 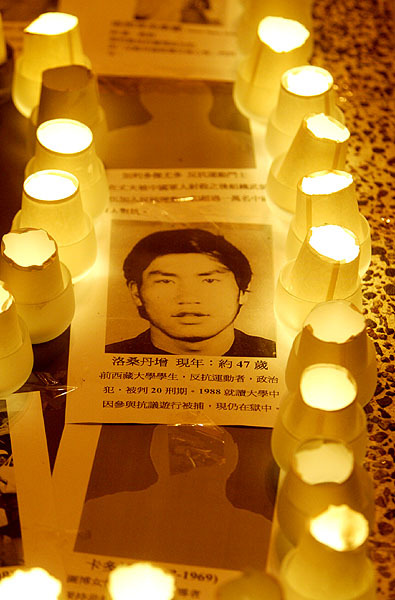 Under the shadow of KMT one-party rule and a common stance on the part of the KMT and the Chinese Communist Party (CCP), the judicial system in Taiwan has become a mere tool for political suppression and persecution. If one is willing to cooperate with the authorities, even when one commits heinous crimes, “special leeway can be granted.” However, if one dares to challenge the Ma administration, then the shackles and handcuffs are ready for use. We are witnessing the formation of a neo-authoritarian regime, one that is “anti-Taiwan and pro-China and opposes independence and promotes unification.” This is certainly NOT the kind of fate that the 23 million people of Taiwan desire. 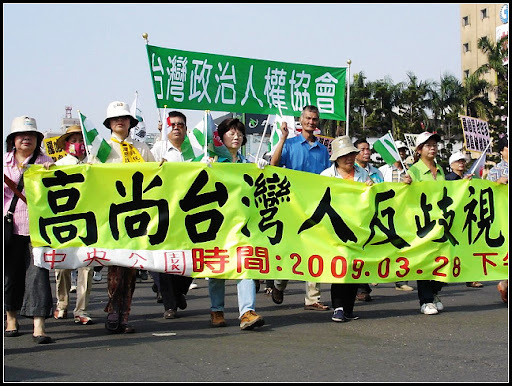 In the past, in the face of the suppression and brutality of martial law, dictatorship, authoritarianism and the “great China” ideology, the people of Taiwan stood tall and brave. Authoritarianism and dictatorship can not frighten us. What we should dread most is the fear and self-restraints or self-censorship that we place inside our hearts. When one individual falls down and becomes imprisoned, if ten, one hundred or even more people are willing to stand up for his or her defense, then any form of injustice can be corrected. My protests and accusations are not just for my own benefit as I know my suffering is inevitable. 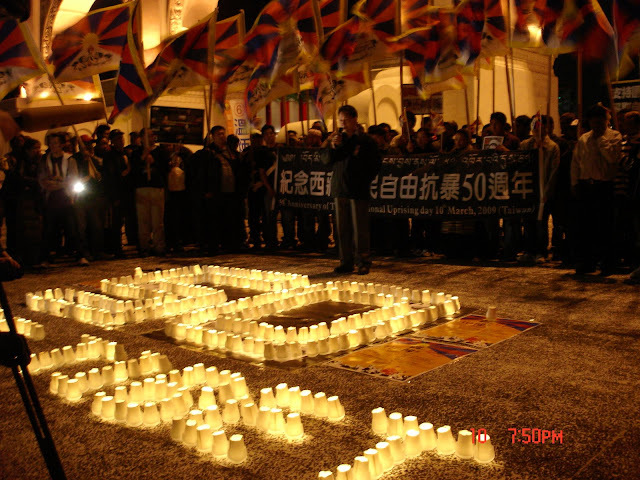 I call out to the world, loud and clear, for the sake of preserving our freedom, democracy, human rights and justice, for the sake of defending Taiwan’s independence, for the sake of ensuring that our 23 million people can be the true masters of our country and for the sake of safeguarding our rights to decide our own destiny. 套句西方諺語："if you want peace prepare for war"